Cranes and baseball players love to throw things. 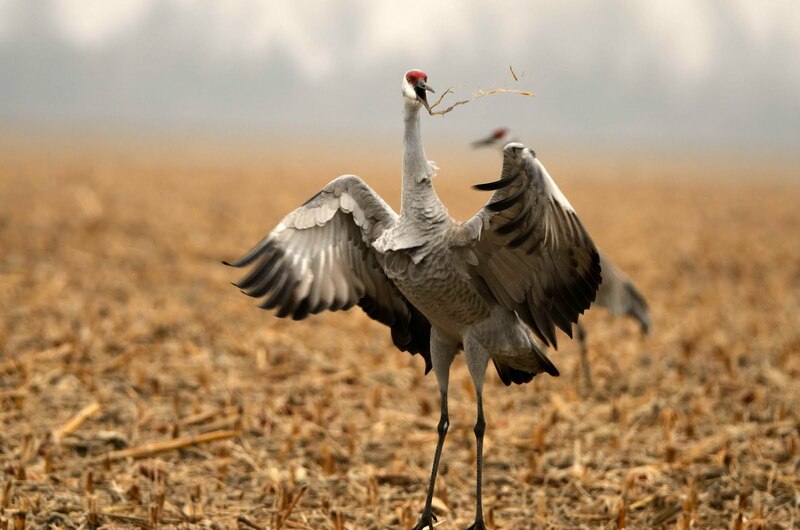 Cranes do it to attract a mate - baseball players -mmmm. Well you figure it out. 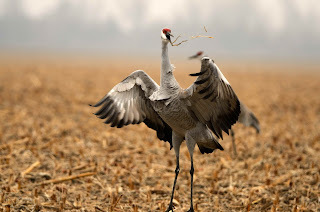 It is fun to watch cranes do this. You can see them start getting a little nervous - they bob up and down and then grab something and throw it in the air. Since most of the time they are in the corn fields when this happens - it is usually some sort of corn stalk.